The best days of the year are in front of us, and if the weather we’ve been having recently is any indication, it’s going to be a good summer. Chicago has many opportunities over the next few months to take in some great food, great music, and great culture. Whether you’re new to the city (like me!) or have lived here your whole life, there’s no shortage of entertainment. The 3Points team wanted me to think about what I’m interested in outside the office — part of being a good PR pro is knowing your space, and that means your city as well as your industry. With that in mind, I put together some events that caught my interest because of their potential to immerse me in the vibrancy that is uniquely Chicago. Tired of the EDM running rampant through today’s music scene? Try the Blues Festival held in Millennium Park. Not only is this the largest music event in Chicago, it still holds the first place trophy as the largest free blues festival in the world. It will cost you nothing, and it would be a huge mistake to pass up the chance to see Grammy award winner William Bell [Editor’s Note: and friend of 3Points Rhymefest] perform live. Visit this site to learn more. Tie your napkin around your neck for this event. This year marks the Taste of Randolph Street’s 21st anniversary, and the 2017 lineup is more savory than ever. I haven’t tried many Chicago restaurants yet, but City Winery and La Sardine in particular caught my eye. Jam along to some live music while you munch for a good cause — this event benefits the West Loop Community Organization. Learn more about the lineup and pricing here. Another staple of summer: country music. Grab your passes to see some of the biggest performers in the industry at the Huntington Bank Pavilion on Northerly Island. Featuring Miranda Lambert, Rascal Flatts, and Thomas Rhett (among many others), this is a musical event to rival even world-famous Lolla. If you like eating as much as our team does, then this is the event for you. In addition to showcasing some of the city’s tastiest bites, there’s live music and activities for the whole family to enjoy. Held in Grant Park since 1980, this is the world’s largest food festival. Additional bonus: it’s FREE admission. Get some more info here. Nothing takes the edge off a hot summer day quite like a cool beer. Head to Sheffield and Webster for a taste of more than 70 specialty brews from 35+ local and national breweries. If that alone isn’t enough to entice you, this event will be accompanied by live music. Get the details here. What kind of post about summer activities would this be without mention of good old-fashioned hot dogs? Join the Chicago History Museum for its fifth year of celebrating different regional and ethnic preparations of one of America’s staple summertime foods. There will be games and live music, too, so be sure to get your tickets in advance to take advantage of discounts. This Labor Day weekend tradition in Millennium Park is the perfect way to spend the holiday. Brush up on the rich history of the jazz genre and enjoy FREE admission to one of the most educational events of the summer. Learn more about headliners and the schedule of events here. 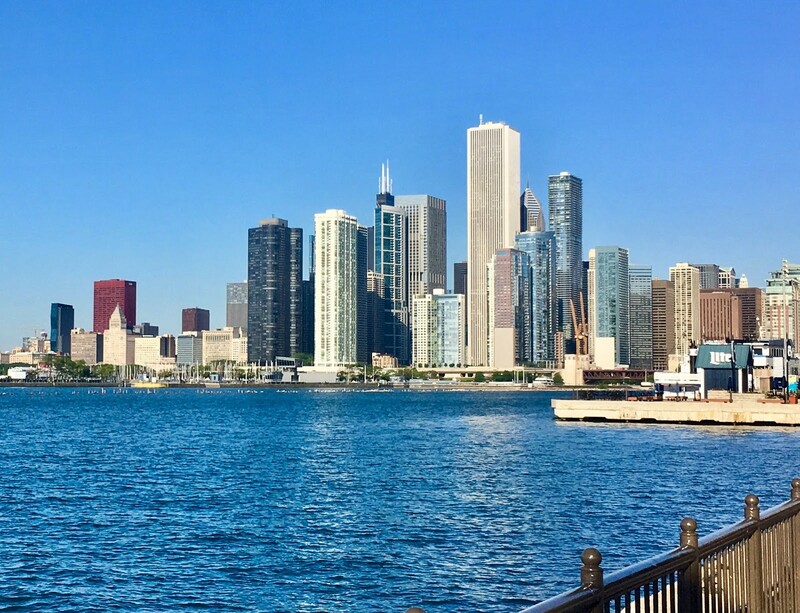 Just like the Cavs will make a comeback against Golden State (fingers crossed), Chicago rebuilt the city from the ground up after the Great Fire of 1871. The river tour is a great way to acquaint yourself with the architectural structures in the city and get some sun at the same time. Learn about the schedule and cost here. We would be remiss to neglect some of the intellectual activities on offer in the city. While the museum is open year-round, summer is a great time to sharpen your critical thinking skills. Check out the tech of the future with the new robotics exhibit. Info about hours and ticket pricing here. If you find yourself not knowing what to do some weekend, try out one of these events! They’re a great way to get involved with your city, and you might even catch me out there in my 3Points t-shirt.